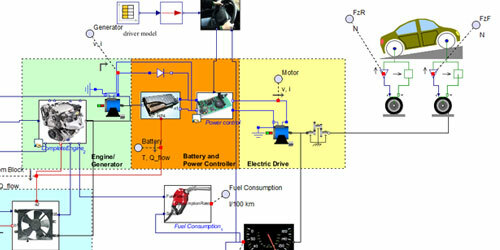 Tools and expertise to meet the challenges of electric and hybrid-electric vehicle design. 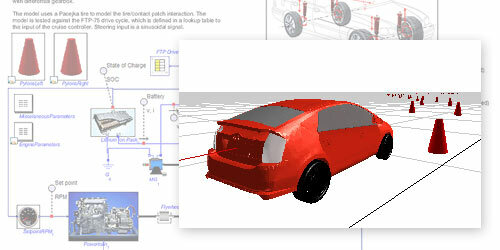 Maplesoft specializes in the modeling, simulation, and optimization of complex multidomain systems for of EVs and HEVs. New generation electric and hybrid-electric vehicles present significant challenges to automotive engineers. With Maplesoft Engineering Solutions, the complex multidomain systems involved in electric and hybrid-electric vehicles are modeled in a single environment, so design and optimization can be done at the system level. 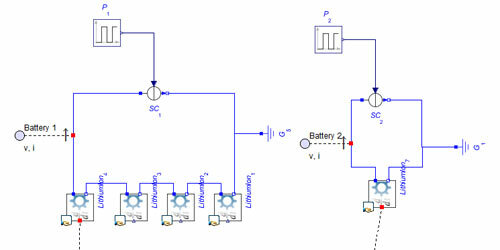 You can develop multidisciplinary models to expose the underlying complex interactions between systems, determine component sizing, achieve higher fuel efficiency, and validate with hardware-in-the-loop testing. Maplesoft Engineering Solutions provide you with the expertise and tools you need to reduce development risk and bring high-quality products to market faster.